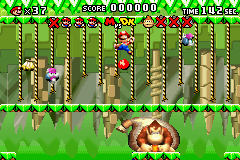 Donkey Kong Jungle is the second world of the game Mario vs. Donkey Kong. 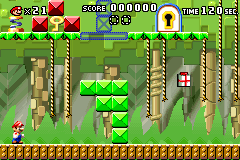 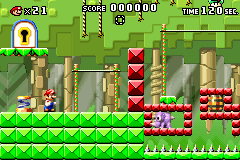 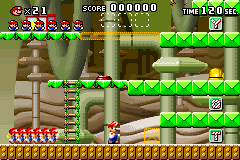 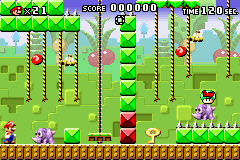 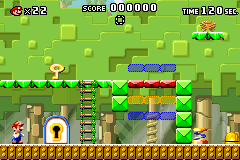 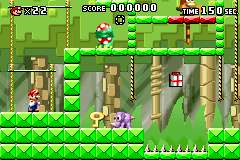 In this world, Mario swings across vines and crosses bridges to avoid danger. 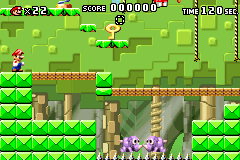 The jungle introduces new enemies, such as RamRams and Tane Pakkuns. 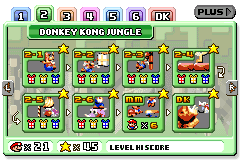 This page was last edited on May 10, 2018, at 13:38.